Setting up rules that I can live by is my first priority. Now withdraw into the rose center of your heart. Meditate on the perfect red rose. The rose of twelve petals lies at the temple of your heart. It's petals are opening to the Sun - every petal gleaming and glowing with the light. There is an ineffable light in the heart of the rose. Become enfolded within these petals, in a soft pearly light. You are within the temple of the rose, the Sun pours down into the heart... opening up the doorway to all empowering, unconditional Love. You are a part of this radiance and one with all of humanity, within the heart of the ROSE. 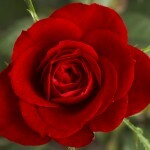 Think of Amma, and meditate on the red rose, the flower of God. You are looking at this rose from afar, as something outside of you. But it is within your heart, as is Amma, always! The petals of this divine rose are slowly opening as you chant your mantras to Amma, opening to receive the golden warmth of sunshine and power from above. There is a Light within the heart as well music coming to you from the rose. The Light from above and the Light from the rose blend as one...as you swoon into the bliss of Divine Love. a new path and a new life begins! 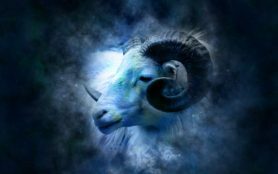 Symbolized by the Ram, Aries initiates the energies following the Vernal Spring Equinox. Regardless of your personal Sun-sign, play the role of the pioneer and chieftain, the leader in unknown waters, as Aries represents. Imagine yourself to be a seed in the ground of Spring, sprouting as a dynamic vessel of life, reaching upward to absorb the powerful rays of the sun. Spontaneity, assertion, and a great love of adventure are natural expressions of Aries. However, steer clear of immaturity, selfishness, and reckless pursuits. Aries is the first of the three Fire Signs, with a flair for the dramatic, but fatigue and rushed energies can extinguish even the strongest flame. Remember that energy and persistence and a progressive spirit can unlock the magical creativity of your mind. The good news, Aries, is this will be a good but life-changing year. Unfortunately, it may take until year's end for everything to come together, which is sure to try your limited patience. The career path you make this year will continue to influence your life and stay with you for many years to come. This effort will reach its peak seven to ten years from now. As 2018 closed. we all completed a long transit, beginning in June of 2006, and with the dawning of the 2019 Spring Equinox, have begun a new path. Pluto is known as the transformation planet,; Uranus energy has moved into Taurus and is always electric, sudden, and quick. Rarely does life remain the same once the transit is complete. The effects seem to be irreversible. It pushes people to, in some way, cut ties with the past and move on to new endeavors. The Solar Super Moon, at zero degrees Libra, encourages us to do just that. This is the energy of so long, farewell, and goodbye, as well as new beginnings. This is what the energies are asking of you through the spring months. Although some of you could experience a layoff, releasing you to move on to a greater career after that experience, for the most part, you will feel a secure background of energy strengthening your position for significant achievements. If you want to try out for a reality show on TV, this is the year to do it! These energetic, positive planetary lineups will never again happen for you in this lifetime! Anything goes. Chance encounters and networking can trigger romantic opportunities. If you are looking for a new partner or strengthening an ongoing relationship, 2019 promises to be a year to remember. The more you pay attention to subtle comments and shifts, the better prepared you'll be able to act when the time is right! Dead Crow is the Left-Handed Guardian. If you look deeply into Crow's eyes, you will have found the gateway into the supernatural. Crow knows the unknowable mysteries of creation and is the keeper of sacred law. The Europeans that came to Turtle Island were named the boat people by slow turtle. Even with the knowledge of alchemy possessed by certain boat people, none had ever seen the powerful shape shifting of Shaman's who utilized Crow medicine. Many people were frightened by what appeared to be animals coming into their camps or dwellings, to discern their medicine. Crow medicine people are masters of illusion. All sacred text are under the protection of Crow. Creator's Book of Laws or Book of Seals is bound in Crow feathers. Crow feathers tell of spirit made flesh. Crow is also the protector of the ogallah or ancient records, perhaps stored in Egypt. The Sacred Law Belts beaded by native women long before the boat people or Europeans came to the continent of North America, contain knowledge of the Great Spirit's laws, and are kept in the Black Lodges, the lodges of women. The law that states that all things are born of woman is signified by the Crow. Children are taught to behave according to the rules of a particular culture. Most orthodox religious systems create a mandate concerning acceptable behavior within the context of worldly affairs. Do this and so, and you will go to heaven. Do thus and so, and you will go to hell. Different formulas for salvation are demanded by each true faith. Human Law is not the same as Sacred Law. More so than any other medicine, Crow sees that the physical world and even the spiritual world, as humanity interpreted them, are an illusion. There are billions of worlds. There are an infinitude of creatures. Great Spirit is within all. If an individual obeys Crow's perfect laws, as given by the Creator, than at death he or she dies a good medicine death - going on into the next incarnation with a clear memory of his or her past. Crow is the Omen of Change — and during these weeks of April 2019, Aries energies - that is what to expect. Crow lives in the void and has no sense of time. The Ancient Chiefs tell us that Crow sees simultaneously the three fates - past, present and future. Crow merges light and darkness, physical and shadow, seeing both inner and outer reality. April 2019, will be the time for us to pause and reflect - and to show others how we see the Laws of Great Spirit in relation to the Laws of Humanity. Crow medicine signifies a first hand knowledge of a higher order of right and wrong that of that which is indicated by the laws of human culture. With Crow medicine - one speaks in a powerful voice when addressing issues that for you seem out of harmony, out of balance, out of whack, or unjust. Remember, Crow looks at the world with first one eye, and then the other, cross-eyed. In the Mayan culture, crossed-eyes had the privilege and duty of looking into the future. You must put aside your fears of being a voice lost in the wilderness and caw the shots as you see them. For one and all - for the betterment of the world and all that dwells within! Caw - Natural Law - Caw - Natural Law! As you learn to look within first, and allow your personal integrity to be your guide, your sense of feeling alone will vanish. Your personal will can then emerge so that you stand in your truth. The prime path of true Crow people says to be mindful of your opinions and actions. Be willing to walk your talk, speak your truth, know your life's mission, and balance past, present, and future into the NOW. Shape shift that old reality and become your future self. Allow the bending of physical laws to aid in creating the shape shift to create world peace. Honor the past as your teacher, honor the present as your creation, honor the future as your inspiration. Call on Crow to shift your own creation into your new reality. Diamond: Enhances brain functions. (Aries rules the head). Aids alignment of cranial bones. 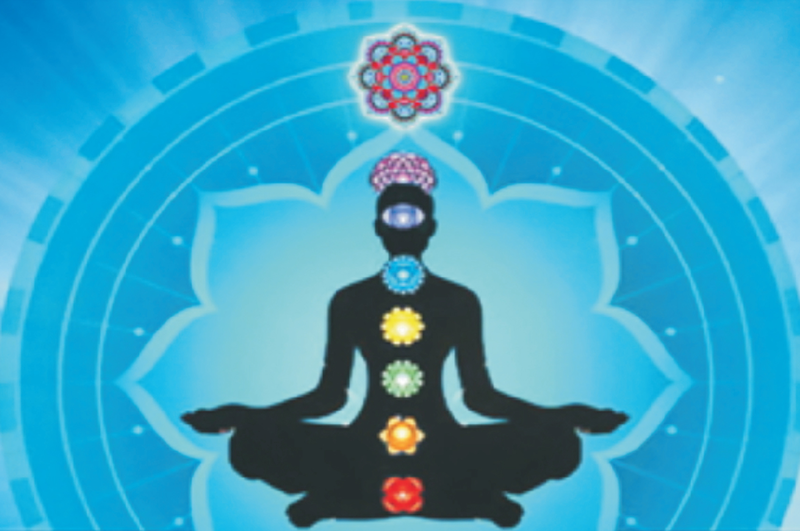 Breaks up blockages in Crown Chakra, as well as the personality. Master Healer! Dispels negativity. Purifies physical and the etheric bodies. Reflects will and the power aspects of God. Enhances full spectrum of energies in mind/body/spirit. Alignment to the Higher Self. Creates abundance, innocence, purity, faithfulness. Clear Quartz: Enhances the crystalline properties of the blood, body and mind. Activates and enhances the pineal and pituitary glands and stimulates brain functions. Creates emotional balance. Amplifies thought forms. Has a full spectrum of energy and activates all levels of consciousness. Dispels negativity in the energy field within the environment. Receives, activates, stores, transmits and amplifies energy. Excellent for Meditation. 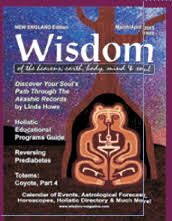 Enhances Higher Self and inter-dimensional communications with Spirit Guides. Cleanses and clears all Chakras, enhancing the color vibrations in each one. Dissolves and removes emotional blocks to growth, progress and success. Gebo is the Rune showing that a union or uniting or partnership of some form is at hand. You are, however, put on notice not to collapse yourself into that union. For true partnership can only be achieved by separate and whole beings who retain their separateness even in unity and uniting. Always remember to let the winds of heaven dance between you. At all levels, in love relationships, business matters, in partnering of any kind, this counsel applies particularly when you are entering into a partnership with your Blessed Higher Self. Establishing an open, flowing channel between the Self and the Higher Self is the ultimate form of human partnership. For out of it comes a union with the Divine. God always enters into equal partnerships. Thus Gebo, the Rune of Partnership, has no reverse for it signifies the gift of freedom from which flows all other gifts. (We have had thousands of responses. The April 5th New Moon in Aries brings the Star of the week. The energy carries all the inspiration you’ll need to plant the seeds of new beginnings in any area of your life you desire. Both the Sun and Moon are in Aries so this is a time to begin something that will change and excite you. Harness the energy and begin your project because this is the best time of year to do so. The fiery energy will make it all work. The April 19th Full Moon in Libra is special because it brings the second Full Moon in Libra in 2019, and that’s very rare. This brings you a second chance to bring your outstanding financial records and relationships issues to a comfortable and peaceful conclusion. ARIES: Polarity: MASCULINE Sign: CARDINAL - Element: FIRE – Planetary Rule: 1st House /Mars – Head and Face and Brain - FOCUS: I want! In April Mars moves into Gemini and you feel released from prison. Just when you think you’re clear of stress, April throws you a few curve balls. Examine some of the plans you have put into place and revise them when needed. Unexpected challenges can turn out to be blessings. April continues with the high stress levels, Taurus. You question everything and there are no clear answers. People around you freak when you begin sharing your inner turmoil. You can adapt nicely to change if only you knew what it was. Uranus dares you to break down everything in your life and examine its value. Examine and keep only that which you truly value. It’s a difficult process but it has to be done. April helps the tumult subside allowing you to take three or four deep breaths without feeling your hit by a tidal wave of unresolved issues. Now you can get a lot accomplished as your self-confidence returns. April still brings you that “itchy, twitchy feeling,” because you don’t feel you have a clear sense of direction. Action doesn’t always be outward. Go within and the results are sure to surprise you in delightful ways. April brings impatience because you are ready to move forward and the rest of the world is taking a break. Don’t clench your teeth or fists, but see this as a pause, not a delay. The timing isn’t right to take the steps you desire. April is impulsive with romance as well as trying new things with fiery friends. April also brings a lightening of your spirits as well as some fun. Enjoy it. You deserve it Libra. Leave any heaviness for another time. April can bring some sleepless nights. What’s going on that is getting in the way of practical matters? Do some mindful exercises that will empty your thoughts before you go to sleep. Your consciousness is in overdrive. April brings a standstill. It’s time to begin listening to the worries and concerns of those around you. And delays come down to one thing. You may need to review the details of and plans and projects that you nay have. Otherwise things may never get off the ground.
. April brings more of what you don’t want; delays. 2019 is turning into a year of the promise of action, and then waiting and waiting. Like the Goat, you want to push through and forget the consequences. Don’t! You understand it all in due time. April brings feelings of wispyness and heaviness. It’s a matter of understanding that some areas in your life are diametrically opposing each other. Just when you’re at the point of absolutely losing your mind, work comes to your rescue with new projects and pathways. Your circuits are on overload and adjusting to the new state of your life‑perhaps upside down. As April opens you are unsure which inner prompting you should follow. You’re not at indecision, but instead, at an impass. Remember, it’s time to take your dreams outside your imagination and move them into the physical realms. Your spark of inspiration is riding on the wind to be brought to the next level.